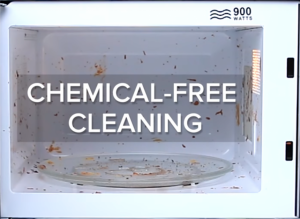 To clean splatters inside the microwave, put a cup or similar microwavable bowl with water, and put on high setting for a few minutes. The steam will loosen any splatters then you can quickly wipe it clean. Dirty sponges and dishcloths are full of germs. Therefore, on a regular basis wash your dishcloths in the washing machine, and put damp sponges in your microwave on a high setting for several minutes. This will kill any bacteria. To collect those bits of food that have fallen on the floor, hoover or sweep before washing. When washing the floor, always start in the corner farthest away from the doorway – or you’ll be stuck in the kitchen! Next Post5 Reasons why a ‘Spring’ clean for your home is good for You!